The Destiny Lace Twist Eternity Band is the perfect choice for a bride who wants to stand out with her wedding band. The intertwining metal with one row of perfectly cut Hearts On Fire diamonds wrapping around the entirety of the ring creates an intricate touch for a delicate design. 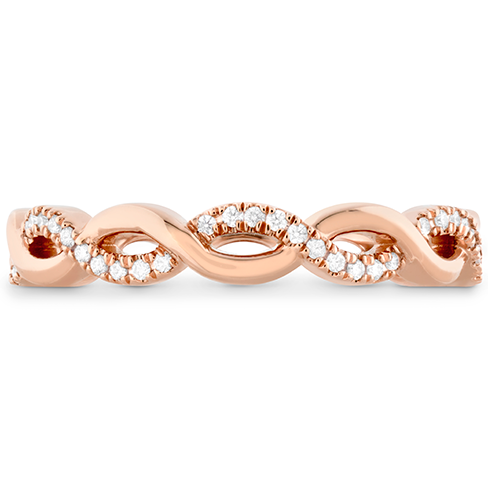 For the band that exudes elegance, look no further than the Destiny Lace Twist Eternity Band.